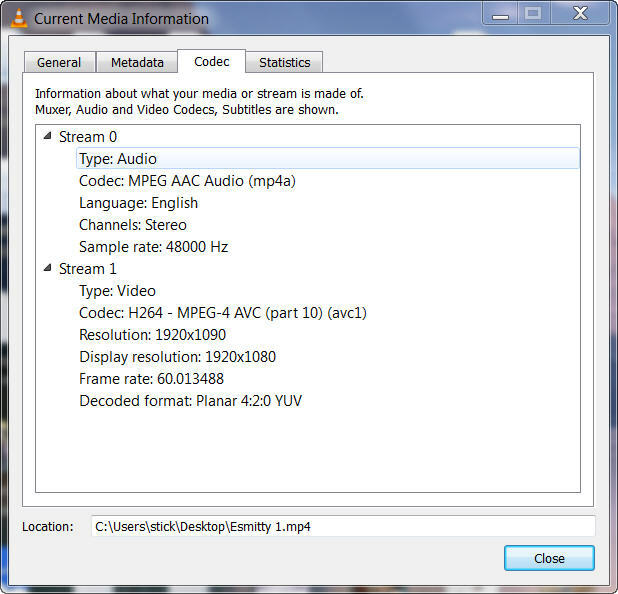 Also, whenever I try to import M2TS files, the video is able to be imported, but no audio! I've downloaded the latest service pack and have downloaded the 2.1 patch, but still nothing. 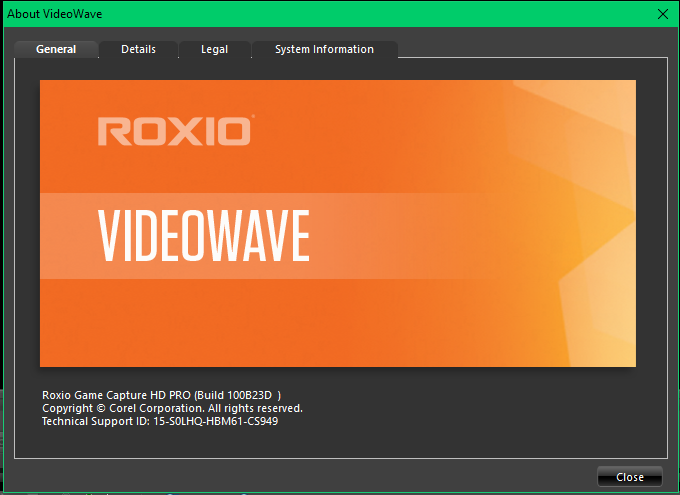 I do have Roxio Game Capture HD Pro files on both my internal hard drive and my external hard drive if that matters. Thanks for the help in advance! What are your MP4 videos? Can you link us to a sample of one that won't import? Get a small mp4 video file which won't import, and either attach it here or store it on somewhere like OneDrive, or Dropbox, or some other file hosting site and post a link here so we can download it. There is the link. Another thing, I don't know if it really matters, but I couldn't even upload that linked video as an attachment to this forum! OneDrive allowed me to upload it though. Thanks in advance! 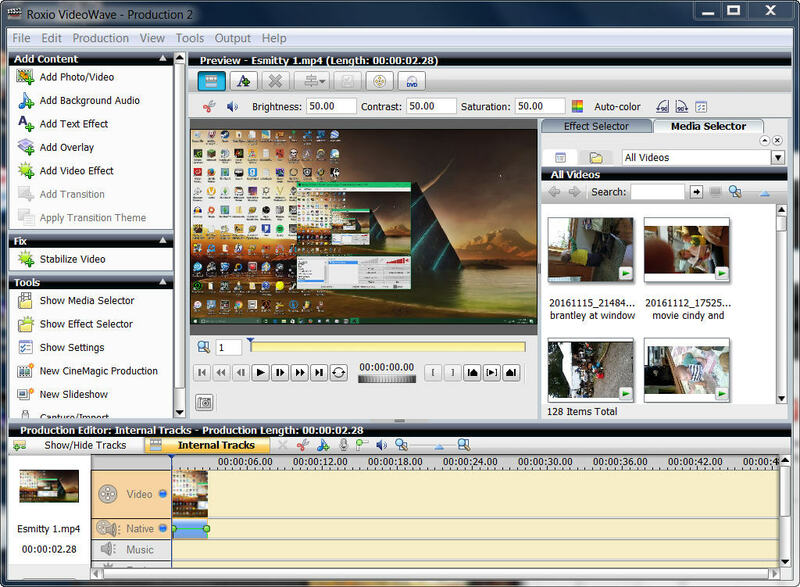 Strange, the board software wouldn't let me attach an MP4, either. A bit pointless when we're dealing with video problems, isn't it. 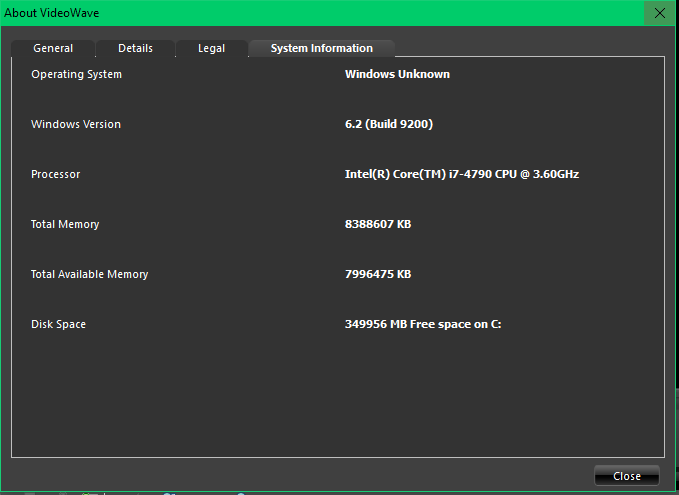 Frame rate of 62.5 fps? Is that your usual frame rate for all of them? Brendon, curious if you tried it in VideoWave??? I just did and had no issues... There isn't any audio although the track does show up but I am guessing none was present when he captured the file. The best thing to try at this point is to run a proper repair. I put it in videowave and it shows a native audio track but doesn't play for me. No, I didn't try importing it into Videowave because Getsmithed hasn't said which version of Videowave he's using, and there didn't seem much point in saying "it works in my version," when it doesn't work in his. Your GSpot shows a framerate of 62.500 fps and a render error, but your VLC shows a framerate of just a tad over 60 fps. My GSpot played without error. Something up there? -are all MP4s refusing to import, or just some? Your GSpot shows a framerate of 62.500 fps. Load the video in Gspot again and click the blue highlighted '1' buttons at the bottom left. Click all three '1' buttons and read the message that appears on the right. Error but slightly different number. I think it's at our end because GSpot is so old. The clip renders fine in VLC. The clip plays in Videowave and VLC but no audio. The video I sent did not have audio when I filmed it sorry about that. Before I repair my videowave, I wanted to ask a question. I'm working on a project right now and am pretty far in it in videowave, if I repair videowave, will I lose my file for the project I am working on? Also none of my MP4 files are able to be imported. -I went to help>about and I didn't know what to send, so I screen capped and I hope I got what you needed. I downloaded the 2.1 patch if that matters. -All MP4s will not import. If it's working for that project finish it before running the repair! Running repair may put your version back to your initial install and need updating. The MP4s aren't working for any project but I'll finish my project up then do the repair as soon as possible! I'm puzzled. 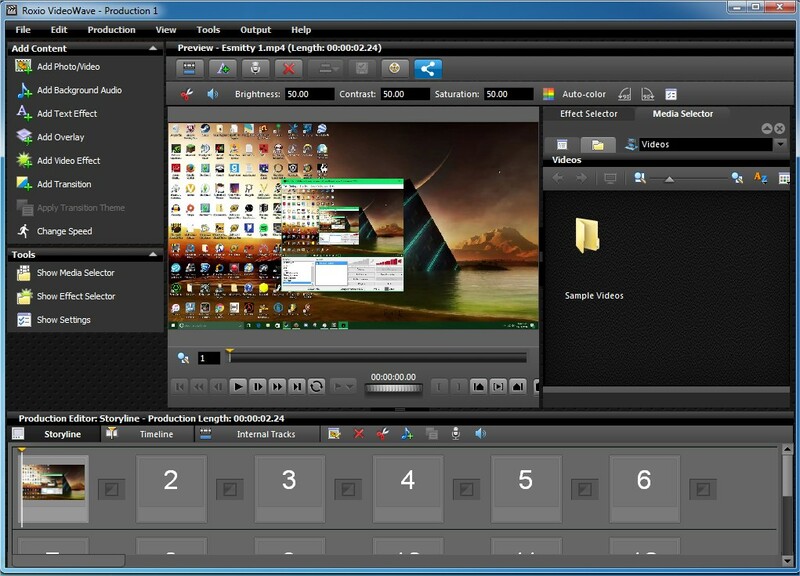 Your screenshot above indicated Windows build 9200, which is Windows 8. Your MP4 clip imports fine on my machine, and so did a bunch of other MP4s from various parts of my system. Hmmmm well when I first bought this computer, windows 8 was installed. However, I am now currently running windows 10. P.S. if you still need a clip with AC3 audio I can give a link. Do you have any idea why my MP4s may not be importing? That's weird, but then it's Windows 10 so what can I say? No idea at the moment why you can't import the MP4s, but I wouldn't mind experimenting with clip(s) with AC3 audio if you could get one where I can download it. I'm still trying to determine if this is just 'odd behavior' or if it's a definite disabling of handling AC3 like happened in Easy CD & DVD Burning. Here is a video with AC3 audio (sorry for the disgusting mess of food in the video). I'm off to go poke a stick at it and see what I can make of it all. Ok well I am trying to repair my roxio(my project is safe) and I am having a bit of trouble. 1. 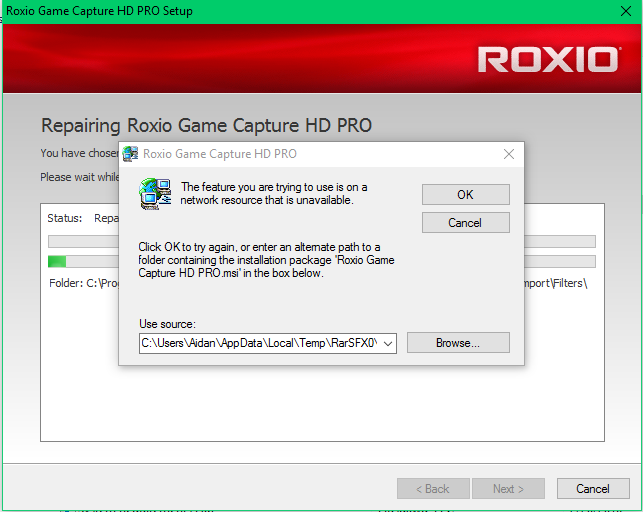 I have tried the SP 2.0 way, all that did was uninstall then reinstall roxio, I never got the chance to select repair. 3. Ran the Game Capture CD. Got to the part where I am suppose to put in the product key. I put my valid key in that is in my accounts registered products section on the roxio website, and it says my key is invalid. 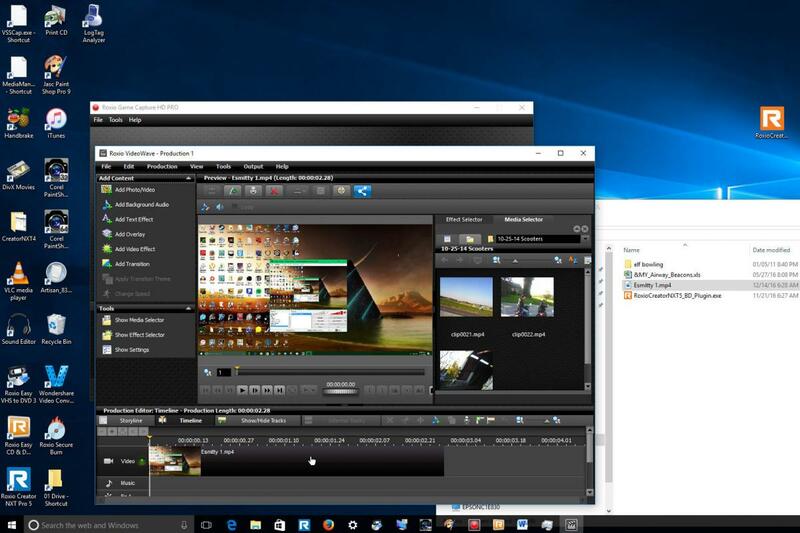 I ran Videowave in Creator 2012, and NXT Pro 5, and in Game Capture HD Pro. I got screen captures from each, but unfortunately Windows 10 decided to update itself on me, and it's been sitting saying "Windows is getting ready" for the last 15 minutes so the screencaps aren't available yet. Short answer, your M2TS file loads and runs fine with sound in the 'full' versions in Creator 2012 and NXT Pro 5, but Videowave in Game Capture HD Pro. has been genetically modified to reject AC3 soundtracks. I don't know why The Company has done this, because it's a purposeful removal of an ability that is there in the full software and the logic behind it isn't exactly leaping out at me. I have not worked out how to reverse their modification, so we're stuck with that, it seems. 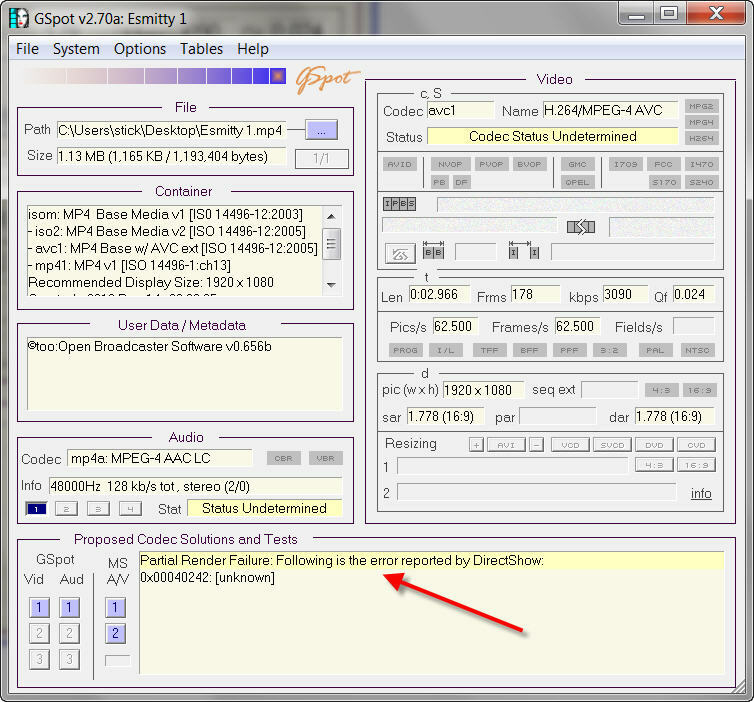 I can't duplicate your problem with VideoWave refusing to import MP4 files. Mine imports them without hiccups. I see you've just posted again while I was typing the above stuff. Oooops, the repair installer is confused! -When you're installing the program the installer unpacks itself into temporary directories and runs from there. SP2 is essentially a full fresh install, and the repair installer is now getting confused with garbage left over in Temp. I'd suggest you CANCEL the repair and see how your SP2 is behaving. Your uninstall/reinstall was more effective than a mere Repair. 1. Successfully ran a repair of the roxio software. This did not fix the MP4 problem though. I did both with the SP2.